Salmon fishing on the beautiful Puget Sound is one of the best ways to see the Pacific Northwest! Beginners to Experts, Saltwater Trolling aboard our 28' Charter Boats depart from Seattle, just 7 miles from Downtown Seattle. Fishing tours are offered Year Around. WE DEPART FROM SEATTLE ALL YEAR LONG as well as Edmonds Departures Sept-June. Partnering with Ruby D Charters we now provide increased capacity and choices. 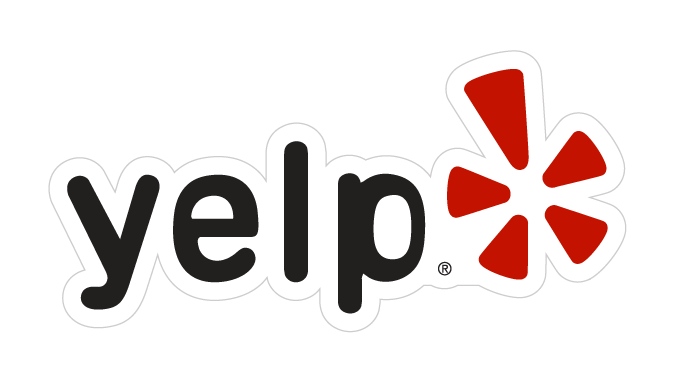 Captain Carl and Captain Dale are experienced and reputable business owners, not "hired guns"
We are eager to share local knowledge, history and experiences. We provide poles, tackle... everything you need for fishing! We even have fishing licenses available on board the boats! We Usually book 3 to 5 persons per boat but can handle up to 6. We also book "Shared Boat" Charters if you have just 1 to 3 people. 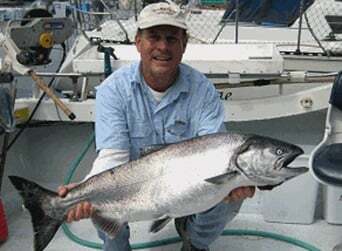 Salmon feed in Puget Sound ALL YEAR and Fishing is often just minutes from the dock! (View Seasons Page or Contact Us to check when you may keep various species of Salmon) Also see Sea Lions, Porpoises, Bald Eagles, Submarines (really) , Orcas, Gray Whales, towering mountains from a comfortable boat with an enclosed head and heated cabin. 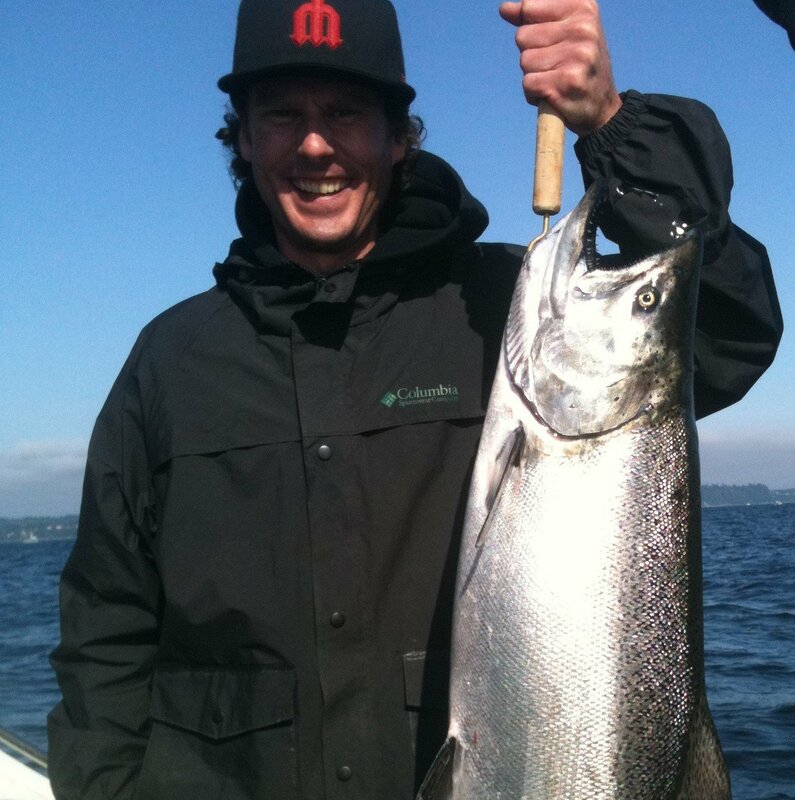 Seattle Fishing Charters recommended by the best tackle shops and finest hotels in Seattle. We are among the busiest Seattle fishing charter services because we are one of the best! So book early! Listed below are resources for marine weather conditions and forecasts. We will always contact our customers of any weather concerns that might lead to cancellations, delays or rescheduling due to windy and rough conditions. We don't cancel for rain. We offer Private Charters out of Seattle and Edmonds Washington, Seattle deep sea private fishing charters and shared Salmon fishing charters. Bottom fishing is also available during certain times of year. View our Seasons page for more information on Lingcod fishing and Flounder fishing.